An online initiative aimed at countering sexual harassment in Egypt has been launched via Facebook, reported local media site Al-Bawaba on Wednesday. The idea was born when the female creator of the Facebook page was verbally harassed by an elderly driver whilst stuck in traffic, instead of shying away she decided to expose him by taking his photo and uploading it to the website. The victim, who goes by the name ‘M,’ then created a page called ‘Efdah Motaharish,’ or ‘Expose Harassers.’ She proceeded to post his picture along with a description of how he harassed her. Her post went viral and reached around half a million viewers. The method proved effective as she succeeded in exposing her harasser’s identity, he has since contacted her and threatened to file a slander case against her pending the removal of the photo. Due to these complications, M believes it is better for victims of harassment to shoot video footage of the assault as it is more solid proof of their behavior. “I asked all the page members to record short video clips of their harassers so there is no chance to wrongfully defame or slander anyone,” explained M.
Since its creation, the membership of the group has grown to 8,000 people. The efficiency of social media platforms, such as Facebook, in politically mobilizing Egyptian youth was proven during the 25 January revolution which toppled autocrat Hosni Mubarak. This particular Facebook page is gaining popularity as it is often difficult for a woman to prove that she was harassed; Egyptian law states that any accusation of such activity must be supported by at least two witnesses. M espouses additional ideas for the protection of women in Egypt’s society. She aims to raise awareness regarding the verbal and physical abuse women are subjected to on a daily basis. 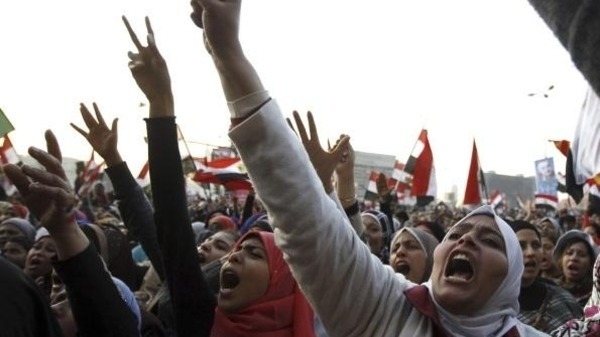 In fact, the two year celebration of Egypt’s revolution was marked by severe infringements against women’s rights in Tahrir square, at least 19 women were officially recorded to have been sexually assaulted by gangs of men.